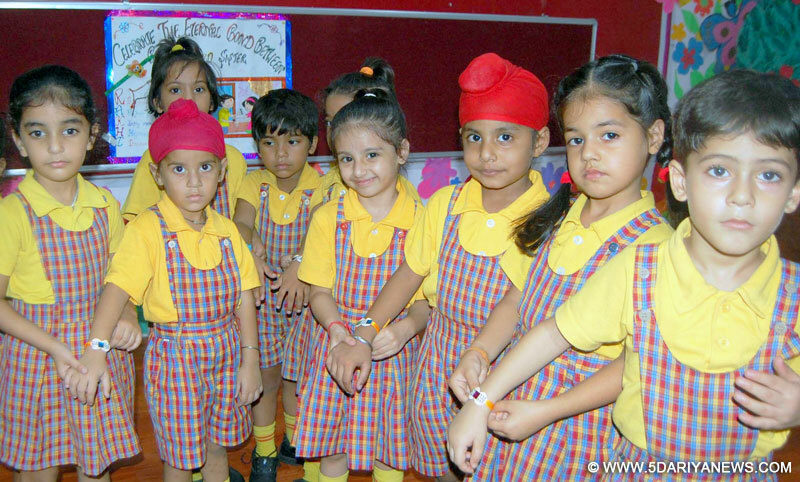 The holy wonder smart School celebrated the auspicious day of Raksha Bandhan with great enthusiasm and gaiety. The Campus was abuzz with various activities & competitions .Students participated in salad making, sandwich making & moctail making competitions. Students used nutritious ingredients and learnt fireless cooking and were encouraged to prepare something nutritious for their siblings on this auspicious occasion .Kids also made beautiful Rakhis from flowers, butterflies, beads, threads & stones.Later, they also decorated thalis for Puja. This inculcates the creative art in the kids. They sang and danced to the tunes of songs related to Raksha Bandhan showcasing their love for each other. A skit was presented by the students which included mythological stories and the famous story related to the origin of the festival.Director of the School Ashween Arora said that such festivals inculcate moral values among the students. Principal of the School Premjit Grover explained the significance of Rakhi to the students and how it strengthens the affectionate relationship, love among brothers & sisters. It is always endeavour of School to celebrate the Indian festivals in traditional spirit & giving a message to the society at large. She later ,Congratulated the winners and encouraged them to participate further in such more activities to build up their confidence and for over all personality development.